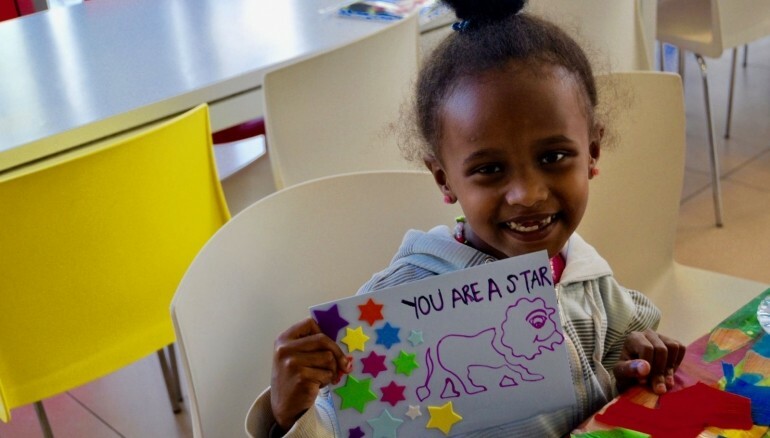 As in past years, we would like schools, synagogues, youth groups etc to hand make non-denominational, get well soon cards for children who are due to receive, or have had surgery. The get well soon cards should be primarily made with stencils so that the children can colour them in when they receive them. The children normally decorate their rooms with the coloured in cards, plus it gives them an activity to do. These cards really do make a huge difference to the children and are always very gratefully received and appreciated. Please also remember, these children are not Jewish, therefore the cards should respect that. The cards should be sent to Save A Child’s Heart,16 Haviva Reik St. Holon 58495 Israel. *Please note that that when the cards are sent as a parcel, if a customs slip is needed, it should state on the customs slip, “No commercial or retail value”. Please remember to put the name and address and email address of the group sending the cards and we will try to email you with photo’s of the children with their cards. Also, if you have to means to get them out to Israel, small toys would be great, but only if you can get them to Israel yourselves. Save A Child’s Heart is an Israeli International Humanitarian charity dedicated to tackling heart disease in children from developing countries and training doctors, nurses and clinicians from those countries. To date, we have carried out over 5000 life saving surgeries at the Wolfson Medical Centre in Tel Aviv from 59 different countries. Half the children operated on are from Gaza, The PA, Iraq, Syria and Afghanistan. This is a perfect example of Tikkun Olam, repairing the world.